All I read the other day on 'Terminator: Genesis' was that they were going to re-do a whole bunch of scenes from the first two films while adding in new scenes, such as a young Sarah with her parents. I'm just not that excited for this. I am looking forward to a trailer, and I really hope they don't go with an overly-CGI route. I would've liked a follow up to Salvation- a full-on future war like we got a glimpse of in the first two films, with the same feel, music etc, but I must say I'm looking forward to this film. On a more superficial level, I hope they get the 1984 'look' right- it's easier said than done. Yeah, Arnold's logic is there, but I just want to see how it transforms and works on screen before I make a judgment. So, they're attempting to cram a majority of the original T1 and T2 into the first film of the new trilogy? So, they're attempting to cram a majority of the original T1 and T2 into the first film of the new trilogy? Why not? Retell as much of the good stuff as you can to connect it to the films that have come before, then tell your own story with the sequels. It could work. Back to this new movie though, I do think it's clever what they're doing- sending a Terminator too far back, and he's forced to 'wait' until his time comes, and that's why he looks older. It might be great... we'll see. It may work, but it just sounds like a lot to pack into one film. The entire series is a paradox. I am certainly looking forward to this. Schwarzenegger said this film has a more T2 feel to it, and that sounds good to me. Easily the best of the four. And I have faith in the director. Meh. Ah-nuld shouldn't be doing the old terminator gig anymore. He's way too old. I don't care how they'll try to explain it. He can do action movies for all I care. But should play characters closer to his age. Not some wrinkled cyborgs. 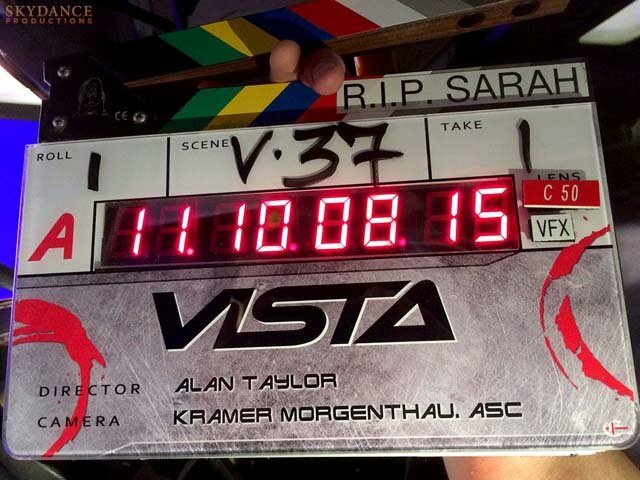 Production began yesterday on Terminator: Genesis. Still cannot believe it is going to be a reboot? Sadly the picture has not uploaded Samuel? Samuel, the image has been terminated. Will we see its salvation? Ahl be back to check. 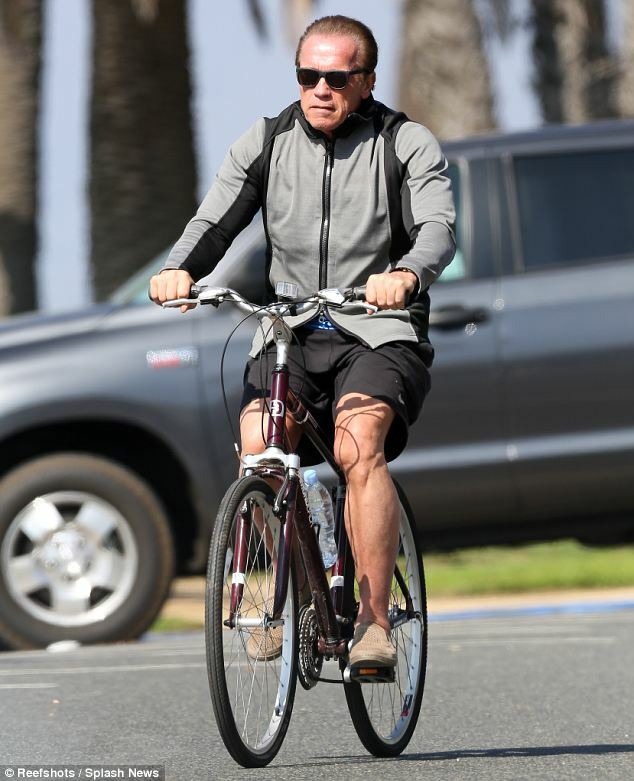 Arnie's looking good. Sunglasses are good at hiding age. No, the picture was the first clapper board from the shoot and fear not, this film connects with the previous ones. It's not a reboot in the traditional sense of the word. Looks like Skynet deleted all records of the file. This could make for a good caption competition? Very curious indeed. But this does tie into the theory that a Terminator gets sent back too far and has to hide somewhere until the correct time. 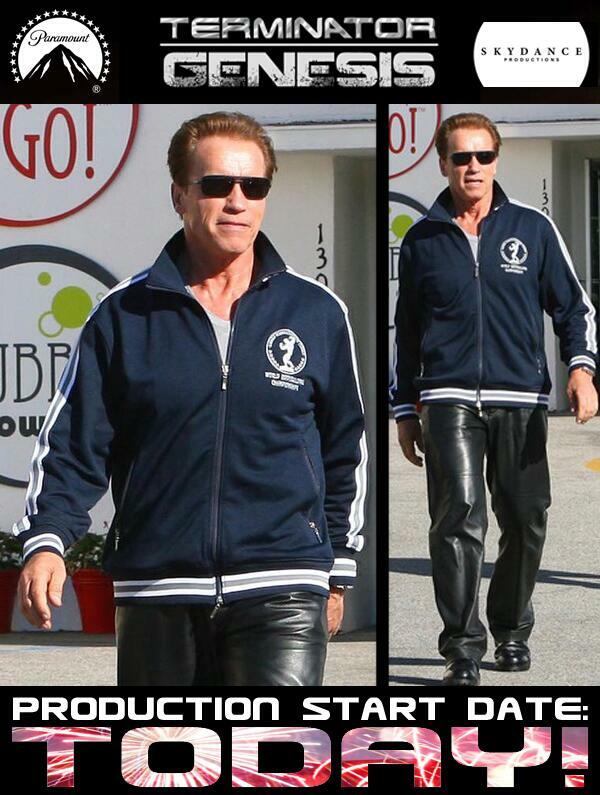 Those CGI dots could be for making Arnold look younger.